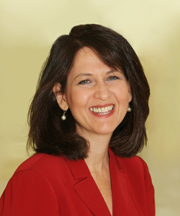 Dr. Lauren Magalnick Berman has been a practicing clinical psychologist in the Atlanta, Georgia area since 1989. She has served as Clinical Faculty at Georgia State University Counseling Center, Administrative Director and Clinical Supervisor of Metropolitan Counseling Services and Adjunct Faculty at Argosy University. She services on the Executive Committee of the Mental Health Professional Group of the American Society for Reproductive Medicine and she is on the Board of the Jewish Fertility Foundation. She is the owner of the Fertility Psychology Center of Altanta. Dr. Berman received her bachelor’s degree in psychology at the University of Pennsylvania and her Master’s and Doctorate in Clinical Psychology at Emory University. In 1986, Dr. Berman was a recipient of a Rotary International Graduate Scholarship and she conducted her dissertation research on stress and illness in Israel. Dr. Berman specializes in the treatment of infertility-related issues and she is skilled in third party reproduction assessments and consultations . She has expertise in assessment and treatment of posttraumatic stress disorder, depression, and anxiety. She has worked extensively with crime and terror victims, survivors of automobile accidents, and survivors of childhood trauma. She works with women’s issues, marital concerns, and chronic illness adjustment. Dr. Berman has been an EMDR (Eye Movement Desensitization and Reprocessing) practitioner for the past 20 years and she has used EMDR for the treatment of PTSD, reproductive trauma, anxiety disorders, self-esteem, sexual dysfunction and executive (work) performance enhancement.